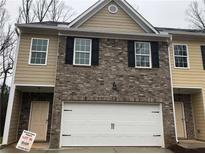 Find Dallas, GA Homes for sale. View Photos, Maps and MLS Data Now! Pics Are Representative Of Floor Plan-Not Actual Home. MLS#6535822. Sdc Realty, Llc..
New Construction Ready May 2019. Photos Not Of Actual Home. MLS#6531425. Palmerhouse Properties. Sold As-Is; Sellers Will Not Do Any Repairs & The Home Has Been Priced Accordingly. MLS#8556775. Mark Spain Real Estate. Photos Are Not Of Actual Home. MLS#6529865. Palmerhouse Properties. The Terrace Level Is Complete With 2 Bedrooms, 1 Bath And Full Kitchen. 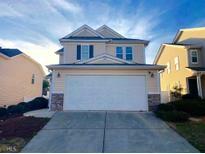 MLS#8553882. Live Love Atlanta Llc. Silver Ridge - The Seller Is Motivated And Eager To Sell. MLS#8551606. Dream Elite Properties, Llc. Outside A/C Condenser Replaced Less Than 5 Years Ago. MLS#8550187. Re/Max Pure. Pics Are Representative Of Floor Plan-Not Actual Home. MLS#6523551. Sdc Realty, Llc..
Pics Are Representative Of Floor Plan-Not Actual Home. MLS#6523550. Sdc Realty, Llc.. Extra Driveway To Rear Lower Level Entrance. Owner/Agent. MLS#8547036. Picketts Realty Llc. Hills At Safe Harbor - Great Location And Qualifies For Usda 100% Financing! MLS#8545563. Re/Max Pure. Pics Are Representative Of Floor Plan-Not Actual Home. MLS#6520066. Sdc Realty, Llc..
Pics Are Representative Of Floor Plan-Not Actual Home. MLS#6520065. Sdc Realty, Llc..
Pics Are Representative Of Floor Plan-Not Actual Home. MLS#6520063. Sdc Realty, Llc..
Pics Are Representative Of Floor Plan-Not Actual Home. MLS#6520064. Sdc Realty, Llc..
Pics Are Representative Of Floor Plan-Not Actual Home. MLS#6520062. Sdc Realty, Llc..
Low Traffic Lot, Nice Yard. Call Agent To Show. MLS#8543675. Basic Realty Inc.
Shopping, Restaurants And Hospital All Convenient. 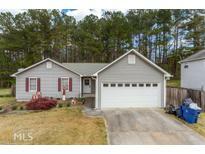 MLS#8543339. Georgia Real Estate Leaders. Hanover - A Screened In Porch And Open Deck. A Must See MLS#8542620. Rcm National Realty Llc. Pics Are Representative Of Floor Plan-Not Actual Home. MLS#6518217. Sdc Realty, Llc..
Gorgeous Views And Lots Of Extra Parking. New Construction Ready Now. MLS#6518309. Palmerhouse Properties. 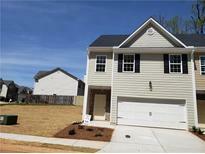 Sedgefield - Come Make This Your New Family Home Now! MLS#8540251. Pme Properties. 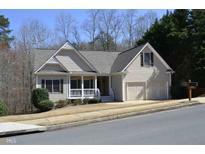 Due West Estates - Centrally Located To Acworth, Kennesaw, Hiram, Cedarcrest, Etc. 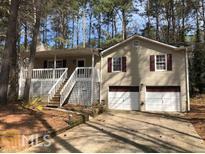 MLS#8534728. Vineyard Real Estate Group. Pics Are Representative Of Floor Plan-Not Actual Home. MLS#6513290. Sdc Realty, Llc..
Don'T Miss This Opportunity - Call Today! MLS#8526522. Property Management & Realty. These statistics are updated daily from the Georgia Multiple Listing Service. For further analysis or to obtain statistics not shown below please call EasyStreet Realty at 404-998-4107 and speak with one of our real estate consultants.